The Sistema Europe Youth Orchestra (SEYO) brings together 200 young musicians, aged 10 to 20 years old, and 30 teachers from Sistema and Sistema-inspired ‘social action through music’ programmes in 27 countries, and this Summer the orchestra's annual residency will be in Athens. 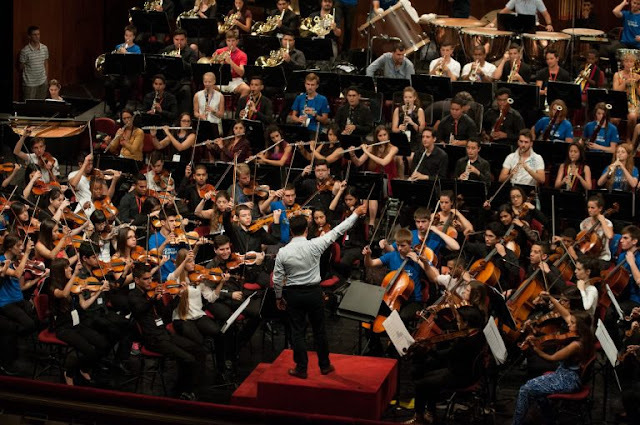 Hosted by El Sistema Greece, SEYO will be in Athens from 20 July to 1 August, with a concert in the breath-taking outdoor amphitheatre Odeon of Herodes Atticus, as the closing event of the Hellenic Festival of Athens. SEYO musicians will perform with and work alongside children from the Skaramagas camp, near the port of Piraeus, which is home to more than 3,000 refugees. Other performances are planned at the Skaramagas refugee camp and the Stavros Niarchos Foundation Cultural Centre, on the edge of Faliro Bay. Previous SEYO residencies have been in Austria (2013), Turkey (2014) and Italy (2015). During the residency, young musicians from European countries and guest programs live and practise together in intensive rehearsals, culminating in concerts as well as informal performances in key European venues. The 2017 event will also include an intense teacher training element, to ensure that knowledge, experience and skills are shared onwards. Full information about the Sistema Europe Youth Orchestra from the Sistema Europe website.